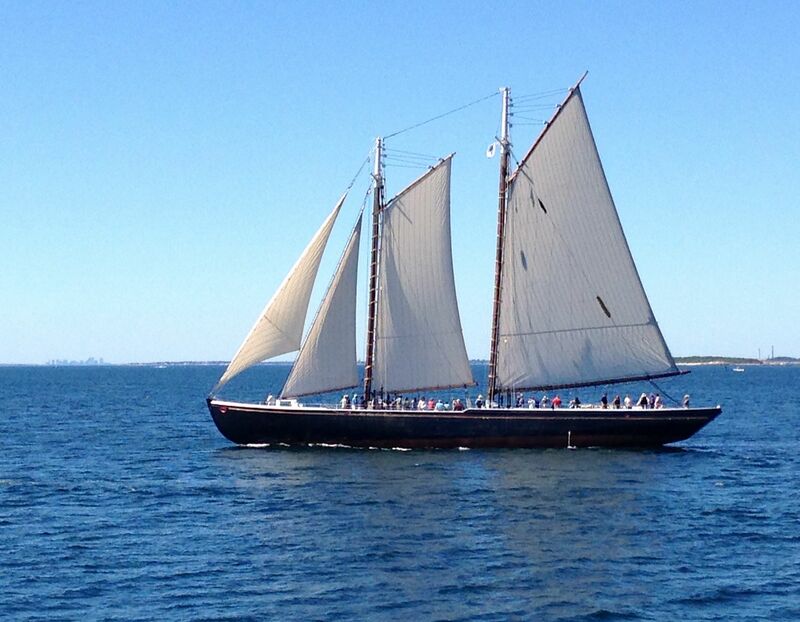 Labor Day Weekend is filled with fun family-oriented activities surrounding all the spectacular Schooners which gather here in Gloucester for various events. All day today, on FEATURE FRIDAY haha, these vessels are arriving and can be seen along the waterfront. From 6 pm to 11 pm there is a Block Party on Main Street, the last one of the season, and moved from its usual Saturday evening to tonight. So don't miss it because you didn't read this highly informative piece of online journalism LOL. Fitz Henry Lane’s Gloucester, A Guided Walking Tour: Experience what Gloucester was like in the 19th century when Fitz Henry Lane painted the views. Tours last around one and a half hours, rain or shine. It's $10 for Cape Ann Museum members; $20 for nonmembers (tickets includes Museum admission). Reservations are required, so please call 978-283-0455. Heritage Day Celebration: Maritime Gloucester (23 Harbor Loop) hosts the annual, FREE Heritage Day celebration. More than 25 vendors and community organizations will offer demonstrations and family activities. The Celtic band, Meridian is playing on the Boat House stage at 11:30 am and 1:00 pm. Schooners are at the dock for visitors. Food is available. Maritime Gloucester’s exhibits and aquarium will be open throughout the day for a discounted (half-price) admission fee. Lobster Bake at The Gloucester House: Chow down on fresh lobsters and corn on the cob (chips too) while enjoying the fresh air at the Seven Seas Cafe with lobster, for $15. Money well spent!Cash bar. Entertainment. Concert on Stacy Boulevard: Guilty Pleasure (that's a band!) will perform on Stacy Boulevard with a break during the fireworks. Boat Parade of Lights: This is a spectacular sight! The Boat Parade of Lights begins at dusk at Jones Creek on the Annisquam River, sails down the river, through the drawbridge and into Gloucester Harbor, ending in the Smith’s Cove area of the harbor. Don't miss this, it's beautiful! I told you, Saturday is a happening day here in Gloucester, no rest for the weary. Sunday is just as GOOD (I bet you expected me to write "bad", tricked ya!). Parade of Sail viewing at Beauport: 75 Eastern Point Boulevard, Gloucester. Watch schooners sail to the Eastern Point Light breakwater to begin the Mayor’s race for the Esperanto Cup. Magnificent!!! Registration is required. 978-283-0800 to purchase tickets. Parade of Sail: Schooners sail from the Inner Harbor, past the Fishermen’s Memorial on Stacy Boulevard, to the race starting area off Eastern Point. Get your iphones out for photos and videos! Let me see your masterpieces on Facebook! Shuttle Bus to Eastern Point Light, from Eastern Point Gate (Eastern Point Blvd at Farrington Ave) to watch the start of the Mayor’s Race. Complimentary thanks to Cape Ann Transportation Authority (CATA). Start of Mayor’s Race for the Esperanto Cup, Ned Cameron Trophy and Betty Ramsey Trophy off Eastern Point, followed by awards ceremonies. Roomful of Blues Festival Cruise: Roomful of Blues will rock your boat (literally) on the Beauport Princess. Admission includes concert and harbor cruise. A full bar and light snacks are available for purchase. Find even more information (plus great photos) on the event website, including some parties that are invitation only. Excusez-Moi! And what about Monday, you may ask, after all it's a LONG WEEKEND? Just go to the beach and relax!